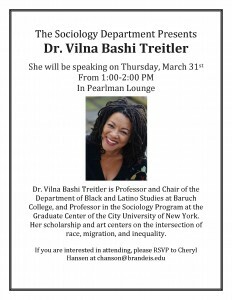 Join us in Pearlman 201 on March 31st at 1:00 PM. 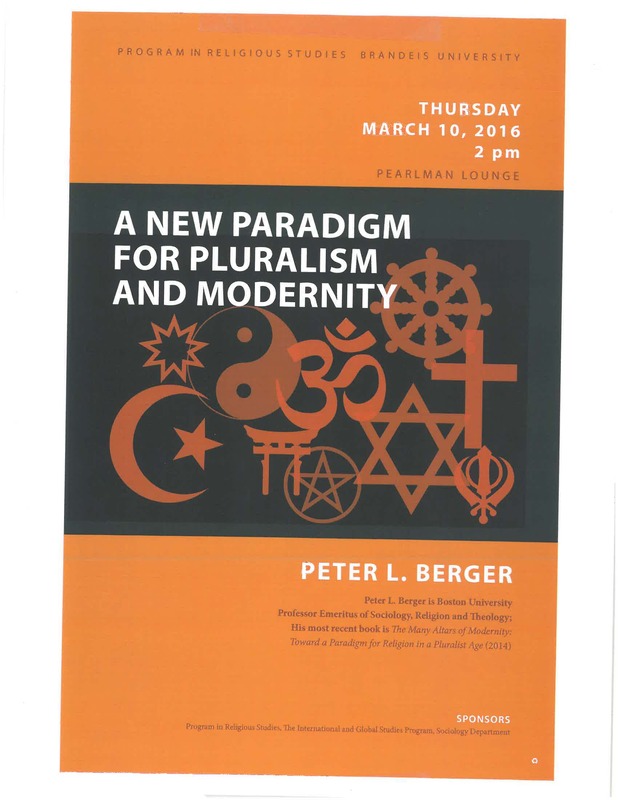 Peter Berger Comes to Brandeis! 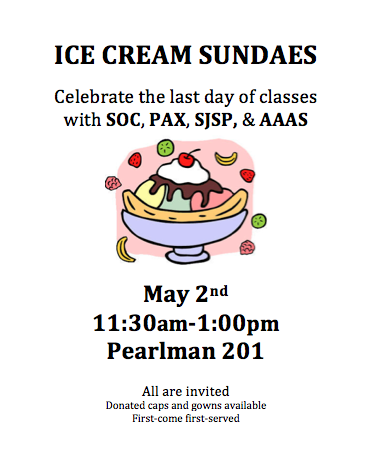 Join us this Thursday, March 10th at 2:00 PM in Pearlman Lounge. 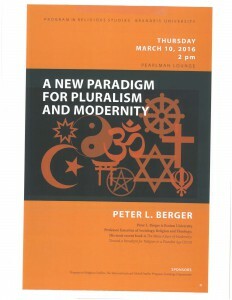 Peter Berger is a University Professor of Sociology, Emeritus, at Boston University and the founder and Senior Research Fellow of the Institute on Culture, Religion, and World Affairs. His talk is titled Two Pluralisms: Toward a New Paradigm for Modernity and Religion. 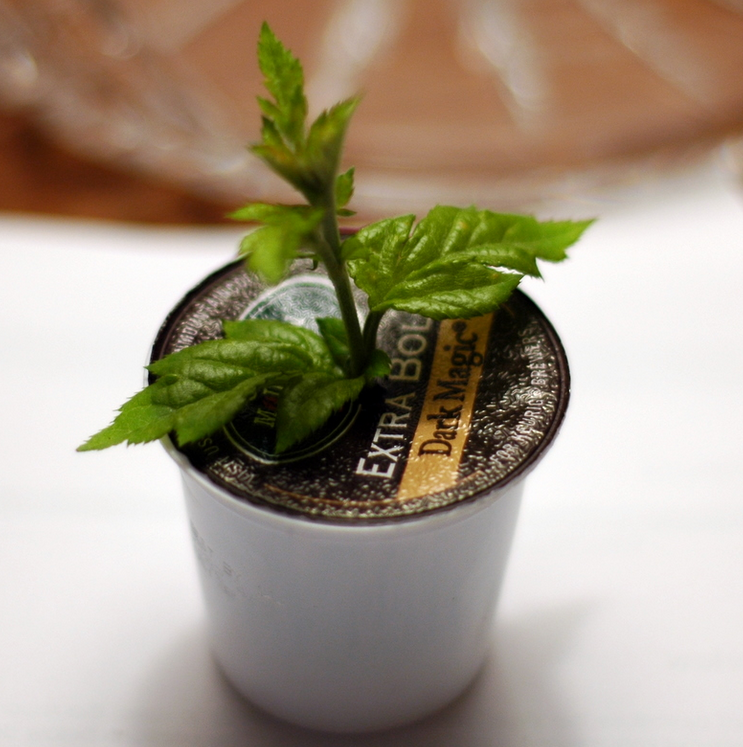 Have you been enjoying hot drinks from the Keurig in Pearlman? Please join us in our k-cup recycling initiative! Use the marked box next to the Keurig to dispose of used k-cups. 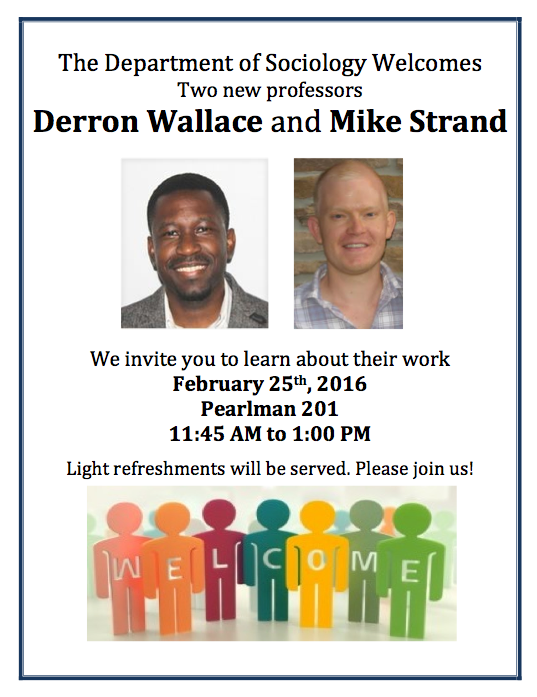 Join us this Thursday, February 25th, to welcome new Sociology Professors Derron Wallace and Mike Strand! 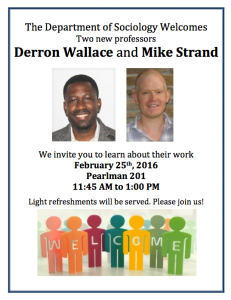 Light refreshments will be provided at 11:45am in Pearlman 201. 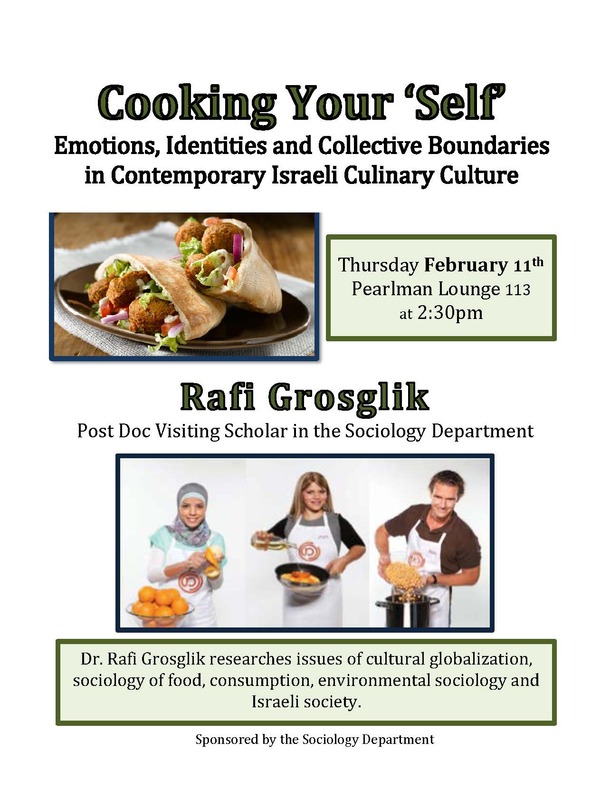 Join visiting scholar Rafi Grosglik for our upcoming colloquia! 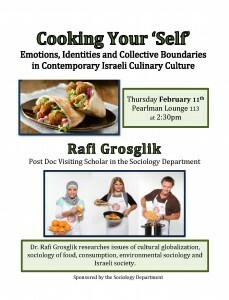 It will be held in Pearlman Lounge on Thursday, February 11th at 2:30 pm. We hope to see you there! Below is the Sociology Department’s statement of solidarity with #FordHall2015. Though the occupation has ended, with success, we feel it is important to share this nonetheless. The faculty and staff of the Department of Sociology stand in solidarity with students who have occupied Bernstein-Marcus. We strongly endorse their vision of a more inclusive and diverse university. We commend their leadership and courage in asking all of us to participate in the realization of this vision. We commit ourselves to actively engaging to deepen the conversation and to support concrete efforts to move towards a more equitable and just Brandeis. Our discipline arose from the study of inequality and injustice, and these remain central concerns. We recognize the harms done by systems of structural inequality, which exact deadly and unacceptable tolls on the bodies, souls, families, and communities of people of color in the United States. We also know that the values and policies that have attempted to address the persistent problems of racism and exclusion in our society and our university have often fallen short, and that new discussions, new ideals and new practices are necessary to move our communities forward. We maintain an unshakable commitment to teaching and research focused on inequality and injustice, their consequences, and mechanisms for their amelioration. We support continued negotiations between the students, university administration, interim President Lynch and the Board of Trustees to find a collaborative path for addressing the yet unfulfilled social justice promise of Brandeis. We will continue to engage with our students, colleagues, and university leaders to address these issues on campus and beyond in a constructive and collaborative manner. 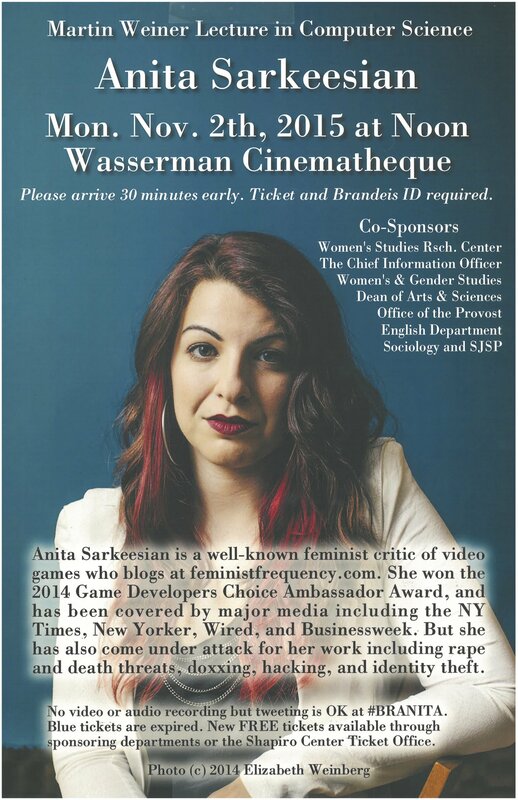 Please join us in welcoming Anita Sarkessian Monday, November 2nd, 2015 in Wasserman Cinematheque. 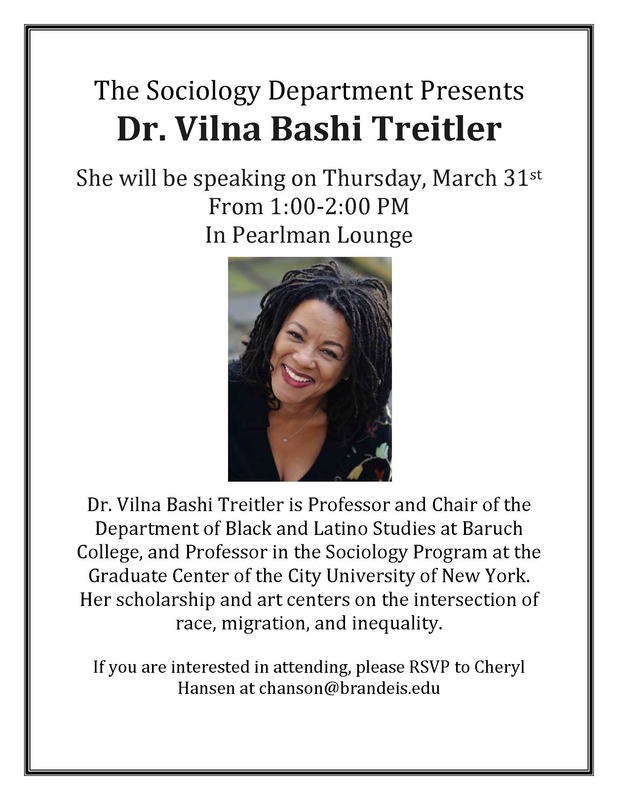 Co-Sponsored by Women’s Studies Research Center, The Chief Information Officer, Women’s Gender Studies, Dean of Arts & Sciences, Office of the Provost, English Department, Sociology and SJSP. 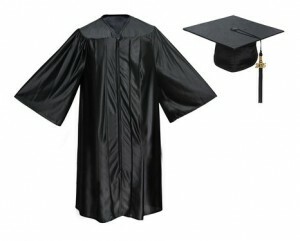 Commencement is right around the corner! Congratulations, Sociology graduates! We are so proud of all you’ve accomplished and the myriad of ways in which you contributed to our department. The main Commencement ceremony will begin promptly at 10:30 a.m. on Sunday, May 17, 2015. At 1:30pm, we’ll have our diploma ceremony in Schwartz Hall, along with the AAAS program. Please be there promptly at 1:00pm if you’re a graduate!